According to the latest rumor, OnePlus company would skip the OnePlus 4 and move directly to the release of the OnePlus 5. We all know that they have recently released OnePlus 3T which is an upgraded version of OnePlus 3, which is released the same year. Our thoughts turn naturally to the OnePlus 4, which we would expect to hear news of in around May/June 2017. 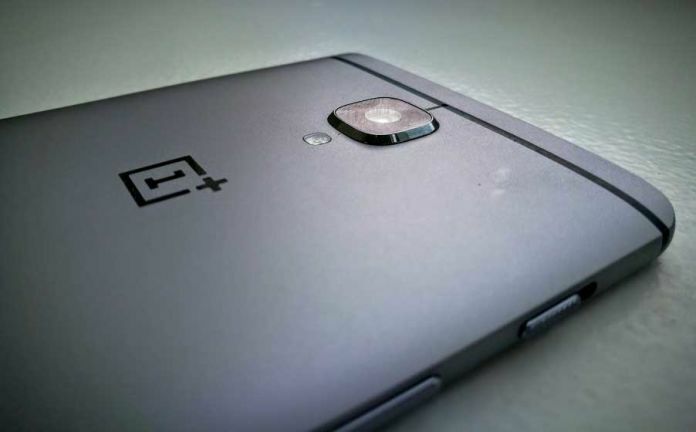 However, OnePlus is tipped to be bypassing the OnePlus 4 for 2017. Don’t worry, though, there will still be a new OnePlus in 2017. Because the number four is considered to be bad luck in China, the company is rumored to call its next flagship the OnePlus 5 instead. The OnePlus 3 has a 5.5-inch 1080 x 1920 display, just like the OnePlus 2 and the OnePlus One. Given how staunchly the company has stuck to that size and resolution combination it’s tempting to think it will do the same with the OnePlus 4, and that’s certainly possible, but we reckon it will push the resolution up to 1440 x 2560. That exact possibility has now been rumored, with talk of a 5.3-inch screen of that resolution. The resolution of the screen on the OnePlus 3 is one of its few faults and one of the only areas you can really point to and say that’s where the company cut corners. To make an impact next year it’s likely to push the resolution up, especially since by then just about every flagship is likely to have a QHD or higher resolution screen. But why do we need to push resolution above 1080p on such a small screen? Two letters: VR. Virtual Reality is big in 2016, even OnePlus has got in on the act launching the OnePlus 3 in VR (and the OnePlus 2 in 2015), but for the best experiences, you need a high-resolution display. A 2K screen would improve the VR experience on the OnePlus 4, as well as give a boost to movies and gaming. The first design rumors suggest we could see a big change in the look of the OnePlus 4, with apparently a glass body in place of the OnePlus 3’s metal one. You can see a rough render of how that might look below – note the absence of antenna bands, which wouldn’t be as needed with glass. We’re not totally convinced by this though, as while it’s tough to pinpoint how OnePlus has kept the cost down in the final design of its handsets, it presumably aims to keep spending to a minimum during the development of the phone, which means a whole new design every year isn’t likely to be on the cards. The company completely changed the design for the OnePlus 3, giving it a truly premium metal build, so we may see something similar for the OnePlus 4. It won’t be identical – look out for something slimmer and more refined, but it could have a similar overall look. The first camera rumor points to a dual-lens snapper, with augmented reality and mixed reality functions, though no details are given on the specifics or the megapixel count. These changes are believable, if vague. A lot of work was put into the camera on the OnePlus 3. Both rear and front sensors have a high megapixel (16-megapixel and 8-megapixel respectively), there are optical image stabilization and plenty of other features. But the end result is a snapper which still isn’t quite up to the standards of the best around, so expect the camera on the OnePlus 4 to be further tuned and improved. That’s not to say it’s a bad offering, it’s just the bar has been raised so high it’s difficult – on a budget – to match it. The megapixel count on the rear snapper may change, but if so it will probably be dropped in line with the current trend of 12-megapixel snappers from the likes of Samsung, Apple, and Huawei. We doubt the front-facing one will get a new megapixel number, though, as 8-megapixel is higher than most rivals, while still low enough to take a good shot. Battery life is one area which OnePlus will hopefully be focusing on for next year’s handset. The OnePlus 3 charges up fast, but its juice pack has shrunk to 3000mAh, a reduction in size from its predecessors. The performance of the battery suffers, and the OnePlus 3 can just about see out a full day with moderate usage – so we’re hoping the OnePlus 4 gets a boost in this department. Fortunately, it sounds like that might be what we’ll get, with rumors of a 4000mAh juice pack. The Dash Charge tech OnePlus has employed in the 3 is impressive, and we fully expect to see it return in the OnePlus 4. It could be even faster too, as sister company Oppo unveiled an even speedier charging tech at MWC 2016. OnePlus flagships are always among the most powerful around, at least on paper, and we don’t expect that will change with the OnePlus 4. So it’s likely to have whatever the processor of the moment is, which by then will probably be the Snapdragon 830. That chip, while not official yet, is rumored to support 8GB of RAM, so don’t be surprised if the OnePlus 4 comes with that much, given that the OnePlus 3 already has 6GB. The Snapdragon 830 has now been specifically rumored too, with Weibo leaker ice universe claiming the OnePlus 4 will use it – though they have a mixed track record. But we’ve also heard from another Weibo source that the OnePlus 4 could use that processor, or even the Snapdragon 835, paired with 6GB or 8GB of RAM. The OnePlus 4 will almost certainly run Android (likely Android Nougat) overlaid with OnePlus’ own Oxygen OS. The OnePlus 3 has a fingerprint scanner, so expect that to return. It’s possible that OnePlus will add other features for its next phone, perhaps an iris scanner technology for example since Samsung has started using them. But, on the other hand, the company will likely be focused on making the best phone it can while keeping costs down, so if it doesn’t think a feature is worthwhile or likely to be used by many then it probably won’t include it. An example of that is the lack of NFC on the OnePlus 2. The other question is whether the OnePlus 4 will come with a 3.5mm headphone jack. Motorola and Apple have dropped the aging audio technology from recent phone releases – including the Moto Z Force and iPhone 7 – and it seems Carl Pei, co-founder of OnePlus, is interested in whether the community thinks the headphone jack is necessary. The result was overwhelmingly in favor of the OnePlus 4 keeping the 3.5mm jack, so it looks likely the phone will keep the 3.5mm jack. As for storage, that could jump to 128GB if early rumors are to be believed.